Accepts instructions in a particular language (eg: IA-32, X86-64, ARM, MIPS…). We need to give instruction to a processor on a computer in the language it understands. The microprocessor inputs those instructions and executes them. Programming languages understood by computer processors. 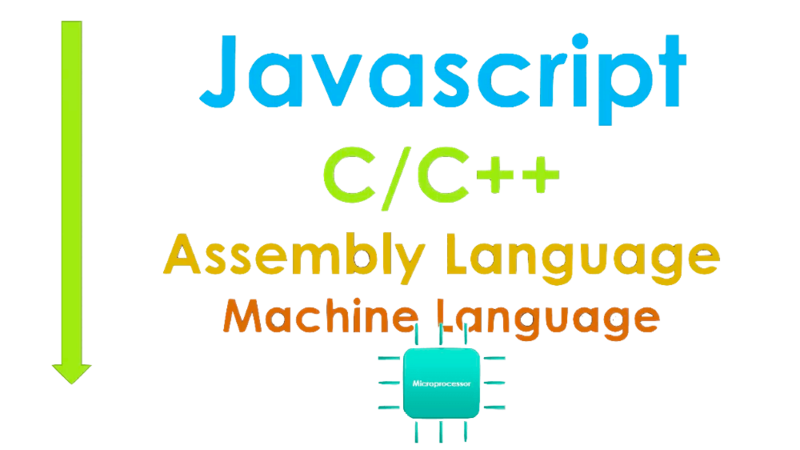 Every program that runs on a computer is compiled (converted) into the machine language using the respective compiler. 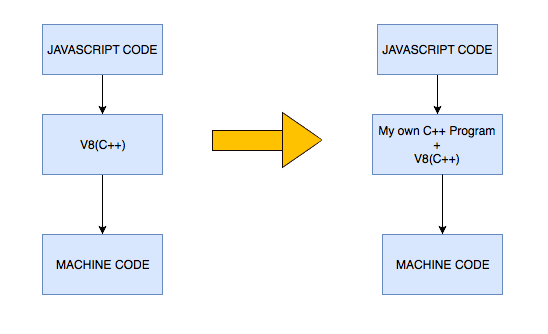 All code eventually converts to machine code so that the machine can carry out the job. For example: Greet() is not a valid JS code as per ECMA standards. There’s no corresponding C++ code in V8 engine for Greet() function. What we can do is that write our own C++ program with Greet() definition and embed V8 into this program. So now when someone will call Greet() function in JS and pass it through our custom made engine (our C++ program with V8 embedded), it will invoke the Greet() function defined in our C++ program. We’ve seen that V8 is designed so that we can embed other C++ programs and make features and things we can do in C++ available to JS. This is what Nodejs is. Nodejs is a C++ program with V8 embedded that has added a wealth of great features that make is suitable to be a server technology. Here we can see definitions of functions such as Print() which are natively not available in EcmaScript. 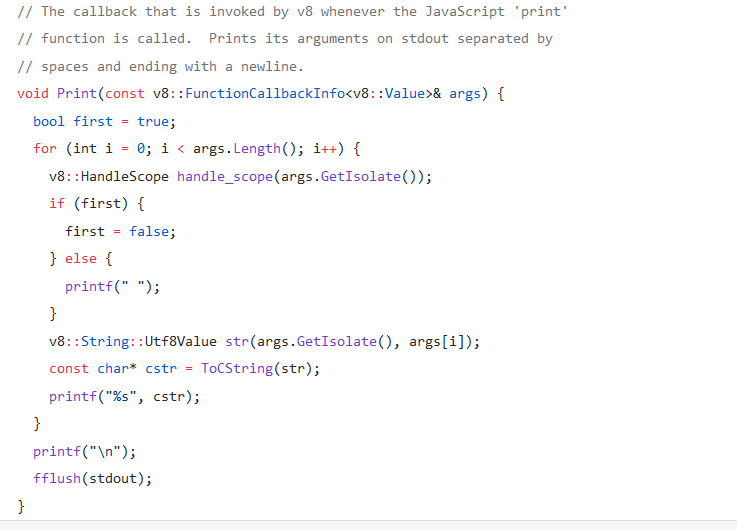 Whenever the Print() function is invoked in nodejs, it will create a callback and the function will be executed. Similarly, we can add our own implementation of different new functions in C++ inside V8 allowing it to be understood by Node.js. That’s the basic working of V8 Engine and how it helps in execution of JS code on the server side (nodejs).